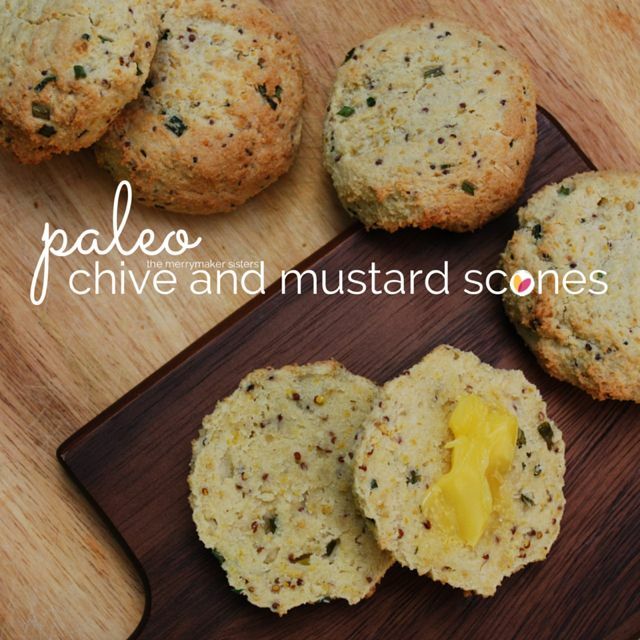 Paleo Chive and Mustard Scones Recipe. Recently we noticed our Paleo Savoury Snack recipe to Paleo Sweet Treat recipe ratio was way out of whack. Don’t stress, we’re here with the goods! 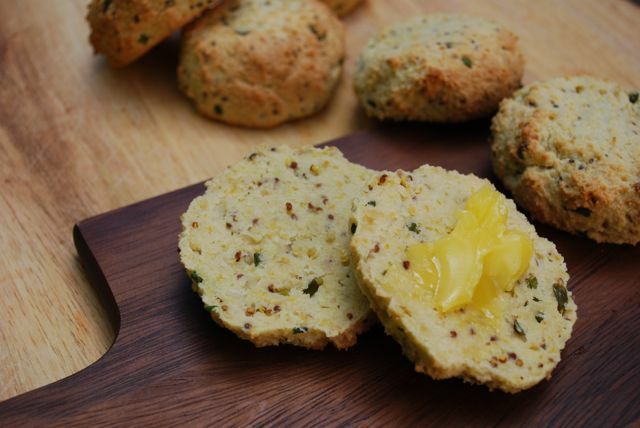 These Paleo Chive and Mustard Scones are quick, easy and you guessed it… delish! We serve these paleo chive and mustard scones with a dollop of ghee or even guacamole! If you’re looking for some more paleo savoury snack recipes, you’ll want to check out our perfect crunchy sweet potato chippies, plantain chippies or our paleo hummus! Preheat oven to 180*C and line a baking tray with baking paper. Mix the almond meal, arrowroot flour, onion flakes salt and pepper in a large bowl. Make a well in the centre and add the mustard, chives, eggs, almond milk and coconut oil. Mix all ingredients well (it will be a little sticky!). Split the mixture into 6 and roll into balls. Place balls onto the baking tray 2cm apart and flatten a little. Place into the oven for 15 minutes, or until golden brown. Serve with a dollop of ghee! Delish!